Continuous low oil prices in international market forced UAE and other Gulf countries to change their strategy and replace the oil based economy by focusing on other sectors. UAE remained pioneer in this matter as it was already leading the region in tourism, business and other non-oil sectors. UAE was also quick to change the lifestyle of its people by introducing VAT (value added tax) for the first time. Now it seems that these efforts will pay for the country as statistics predict that the economic situation will boost further in the recent years due to multiple reasons. According to a recent research report by HSBC, the UAE’s trade will grow this year dramatically due to the expected increase in international oil prices, increased government spending on economic growth activities and better macroeconomic outlook of its trading partners. 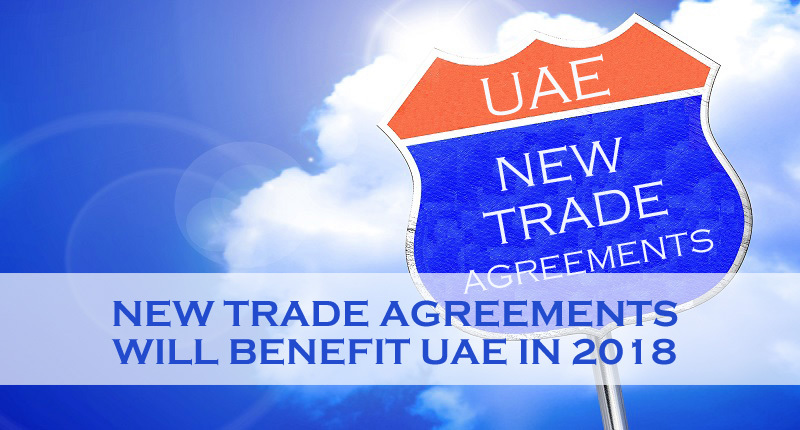 The survey shows that trade volume of 77% business projects of UAE will increase in one year. According to an official from HSBC MENAT (Middle East, North Africa & Turkey), UAE adopted the policy of diversification of its economy last year in 2017 that reduced the negative impact of lower oil prices on its economy. The arrival of Expo 2020 has also positive affects in this matter. Contracts related to infrastructure projects of around $2.9 billion were awarded in UAE last year for Expo 2020 which are higher than the overall contracts worth $2 billion in the whole of GCC for the same purpose. It is expected that more contracts will be awarded this year also. This will ultimately increase business activities in the Gulf country. The two sectors that comprise the bulk (around 97%) of UAE’s total service exports in 2017 were tourism and transportation. It is expected that both these sectors will grow over 6% per year in the coming years. More than 35% entrepreneurs believe that they can increase their services business by entry into new market while 24% are employing new technologies for growth of their service business. Most of the respondents of the study were in favor of the easier access to data that they are provided in the country. Asian countries are known as important business partners for UAE and they are expected to retain or even increase their position for trading with the Gulf nation. Japan, China and India will remain the biggest export partners of UAE in coming years while it is expected that Saudi Arabia will also enter in the list of 5 biggest import partners of UAE in 2030 along with India and China.